For the graph partitioning problem under cardinality constraints, a genetic local search method is developed. At each iteration of the method, there is a set of local optima of the problem. This set is used to search for new local optima with a smaller error. The local search problem with certain polynomially searchable neighborhoods is proved to be tight PLS-complete. It is shown that, in the worst case, number of local improvements can be exponentially large for any pivoting rule. 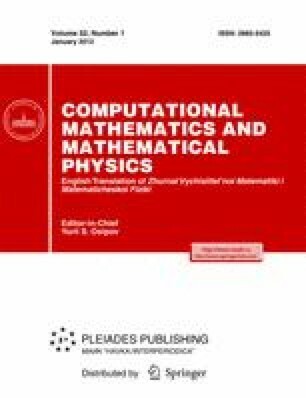 Numerical experiments are performed in the special case of edge weights equal to unity, when local search is a polynomial-time procedure. The results of the experiments indicate that the method is highly efficient and can be applied to large-scale problems. Original Russian Text © Yu.A. Kochetov, A.V. Plyasunov, 2012, published in Zhurnal Vychislitel’noi Matematiki i Matematicheskoi Fiziki, 2012, Vol. 52, No. 1, pp. 164–176.